...these socks in time to gift for Christmas? 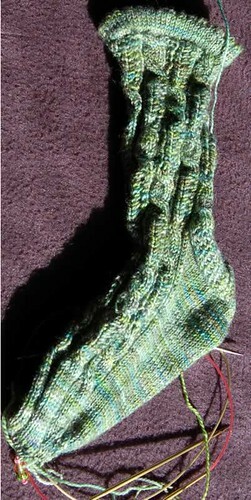 I am just starting the heel of the 2nd sock. I'll let you know after I recover from the holidays a bit. Merry Christmas to those that celebrate. Happy holiday season and New Year to everyone. I'll be back in 2010!